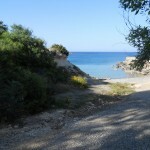 Decosta Bay is a fantastic little bay situated on the coast of Protaras in Cyprus. The bay itself, makes the ideal dive site which is perfect for all standards of divers from beginners to advanced and more experienced divers. The bay provides a natural environment for both teaching and training which is why it is loved by both students and instructors alike. 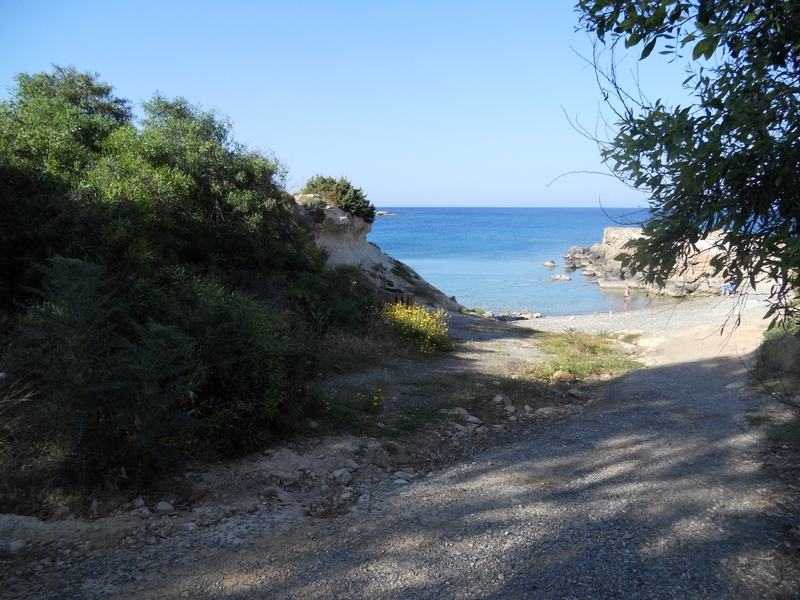 One of the reasons why Decosta Bay is such a popular dive site on the coast of Protaras, is simply because it is easily accessible and both the entrance and exit points to the dive are ‘walk in and walk out’ from a shingled beach. As Decosta Bay is a shallow dive, the entrance point in the water from the beach at Decosta Bay, is a great place to practice skills for divers who may not have dived for a while and would like to take a few worthwhile minutes running through the basic skills such as clearing their masks, bouyancy checks and regulator exchange. Decosta Bay offers a varied dive with many different rock formations to take a close look at in a, wide sandy area making this a beautiful underwater landscape. 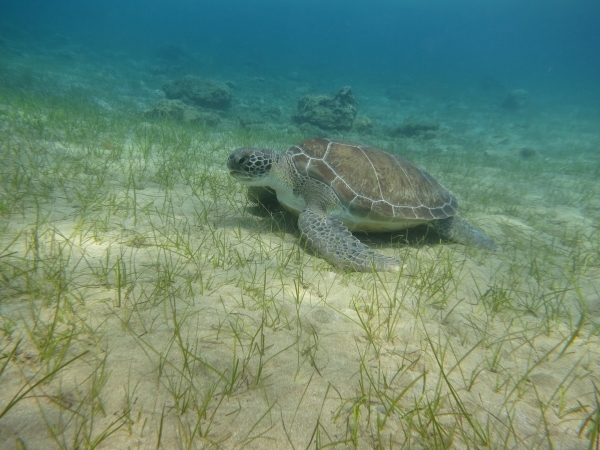 The marine life in Decosta Bay is also very varied and you can usually see schools of Barracuda, Gar fish and banded Bream to name but a few! 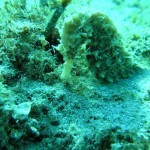 However, for me one of the most amazing sea creatures to be found in Decosta Bay has to be the many Seahorse’s that inhabit the bay. Over the past few years, the Seahorse’s have made Decosta Bay their home and have grown to be a healthy size. Last year, there were many pregnant Seahorse’s in the bay that just goes to show how comfortable and settled these creatures really are in the bay and there surroundings. In the last 16 years that I myself have been diving and teaching in Cyprus, it is only recently that I have began to see these wonderful creatures in our waters. I only hope that others appreciate what they have in the bay and help to protect them so that they can continue to breed and provide a very special and magical site on our dives! Decosta Bay is a small but well protected bay and during the summer months, many of the local residents moor their boats in the bay. These boats provide the perfect shelter for the many Jacks that can be found hiding under the boats, waiting for tea! The jacks are usually quite curious fish and will often venture within a few metres of the divers to see who they are before they quickly turn and swim away. Decosta Bay is great at night and is actually one of my favourite dive sites to dive at night. The very fact that the bay has so many rocks, means that you can spend a long time shining your torch in to the many natural whole that are in the rocks to see what nocturnal marine life can be seen! The very fact that Decosta Bay is only a shallow dive with a maximum depth of 9 metres, means that you obviously have a much longer dive time which allows you to explore even more of this wonderful bay at night. Decosta is one of my favourite night diving sites as there is so much to see and lots of rocks to poke your torch in and have a good look around and with it shallow of depth of a maximum 9m this means we can spend longer having a good look around. Decosta Bay in Protaras is the perfect dive site for both beginners and advanced divers. Its easy entrance and exit points allow simplicitity for divers wanting a less demanding dive. It is a great location for practicing skills, warm up dives and for simply having a nice relaxing enjoyable dive. 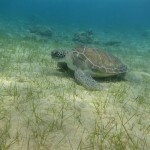 The dive offers plenty of variation in the waters of Decosta Bay to a maximum depth of just 12 Meters.